D. M. Pulley’s first novel, The Dead Key, was inspired by her work as a structural engineer in Cleveland, Ohio. During a survey of an abandoned building, she discovered a basement vault full of unclaimed safe deposit boxes. The mystery behind the vault haunted her for years, until she put down her calculator and started writing. 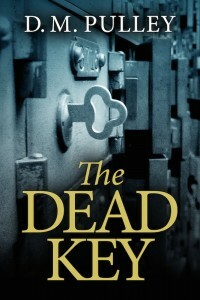 The Dead Key was the 2014 Amazon Breakthrough Novel Award grand prize winner. Pulley continues to work as a private consultant and forensic engineer, investigating building failures and designing renovations. 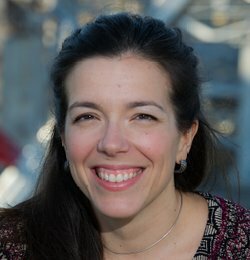 She lives in northeast Ohio with her husband and two children, and she is currently at work on her second novel. I love a good mystery. I love a mystery even more when women are at the center of it, when it’s got an interesting construction, when the story seems innovative. This book, The Dead Key, has all that and more. The prologue had me intrigued but it was with the first pair of scenes – one in 1978, the other twenty years later – that I really got hooked. Parallel plots in different decades – what a great way to spice up what is, essentially a fairly basic story. Beatrice (1978) was more compelling to me than Iris (1998), perhaps because Iris was a bit too self-entitled and obvious for my tastes. Too often, I wanted to shake her because she kept guilelessly giving away what she was doing. Really, if she had just announced to people, “Hi, I found an old safety deposit box key and I’m poking into what happened when the bank closed,” she would not have been much more obvious. Also I thought her flirtation with Nick the designer was a bit random. Yes, women in their early twenties like to date, but their relationship did nothing for the story. Beatrice, on the other hand, was a mystery unto herself. We don’t know her real background until well into the story, and she, at least, knew how to be somewhat discrete. Minor flaws aside, this is a truly enjoyable novel. I loved the 1998 characters finding that the cafeteria (untouched for 20 years) still had working coffee machines (no, they didn’t drink any), and the setting – an abandoned bank – was just creepy enough to offset the fact that some of the twists were fairly predictable. Pulley’s writing voice is truly engaging, her use of description and dialogue well balanced. If you want a great novel for a cozy late-winter afternoon, The Dead Key would be a perfect choice. Goes well with Hot pastrami on rye bread and a bottle of any flavor Snapple. One person (US/Canada only) will win a copy of The Dead Key. How? Comment on this post or share this post on Twitter (and tag @Melysse) to be entered. Winner will be chosen on Monday, March 16th.